New construction homes in Ocean City New Jersey are being built throughout the island in all of the main neighborhoods. It is important that you choose an Ocean City homebuilder that is experienced and knowledgeable about the local market if you are planning on building your self. Much more goes into building new construction single-family homes and townhomes then just the construction. There is a lot of planning that goes into new construction homes in Ocean City. Your contractor/home builder and realtor will be getting necessary permits, surveys, and market research necessary to make sure what you want to build is feasible. You will need to hire an architect to draw up plans and blueprints for any new construction. Everything from finding the correct location to getting construction complete and move in ready can be done with the help of the Ocean City property team. The easiest and fastest way to get yourself moved into a new construction home in Ocean City NJ is to purchase a spec home. These are new construction homes, and townhomes are either paid for up front by an investor, builder, or a combination of the two and built on speculation that they will sell it for profit. There is a tremendous amount of research and work as well as the risk that goes into building spec homes. Yet, it is still the most common method to find a new construction single-family home or townhouse for sale in Ocean City New Jersey. Below are the five most recently listed new construction homes on the market. Are you looking for new construction in Ocean City NJ? New Construction Homes are currently starting in the $400k’s!! 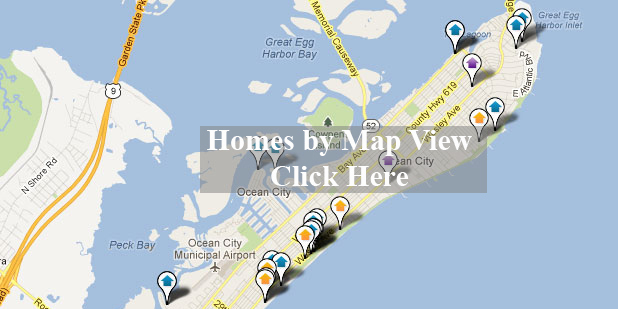 Click on the MAP above and SEE all NEW construction for sale in Ocean City, NJ. New construction in Ocean City is currently the most sought-after real estate. Above are just a few of the newly constructed homes to hit the market. Our website provides you the ability to view all active new construction listings in Ocean City, Strathmere, Sea Isle City, Avalon, Stone Harbor, Wildwood, and Cape May.